What caused a business class jet carrying a former Alberta premier and three others to fall out of the sky, killing all aboard may never be known. The Transportation Safety Board wrapped up the field investigation of the Oct. 13 Lake Country crash, and in the days ahead aviation experts will start trying to piece together what happened from a very small amount of evidence. No distress or emergency signal was sent as the Cessna Citation nosedived 2,600 metres. 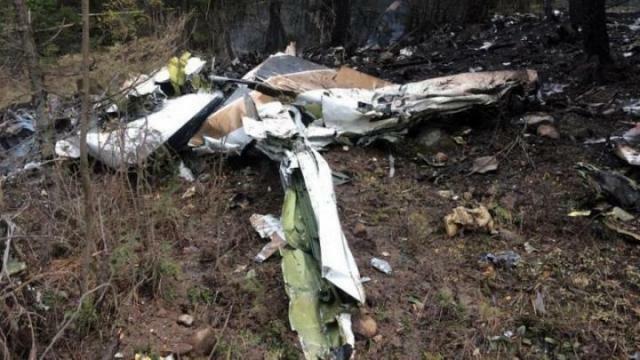 The aircraft was also missing a data and voice recorder, which said a Transportation Safety Board representative said, isn’t uncommon although not ideal. That leaves investigators looking to other sources, which are also lacking. “In this case we have no witnesses and no survivors and the information we are going to get from the wreckage is compromised because of the level of destruction,” said Bill Yearwood with the Transportation Safety Board. “The best information is coming from the radar data,” he said. It doesn’t, however, say what the pilot doing, or how was he trying to deal with the situation that apparently caused a flight disruption and his loss of control of the aircraft. Yearwood pointed out that doesn’t mean that it was the pilot who was at fault, but human error is what they’re looking for. Yearwood also said the simple fact that the plane was modified to seat one pilot rather than two isn’t necessarily the problem either. What is allowed and what it best, however, are two different things. One pilot can deal with the problem, he explained, while the other can help fly the plane. The Cessna Citation private business aircraft, owned by Norjet, a Calgary-based firm, had departed Kelowna International Airport at about 8:30 p.m. Thursday night en route to Springbank, outside of Calgary, and that weather conditions were heavy rain. Cpl. Dan Moskaluk, the day following the crash, said RCMP, with the help of a police dog, were able to get to the scene just before midnight, and received assistance from local search and rescue volunteers. “The terrain is hilly and densely forested, but we were able to access the site from a nearby forest service road,” said Moskaluk.